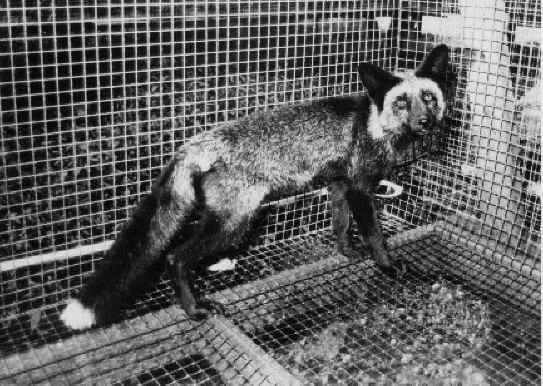 (Fox Exploitation - Fox Fur - 15) A fox's paws were not created to walk on the wire mesh that is used in the construction of this and other fur farm cages. When the wire slips between the toes, it is painful. 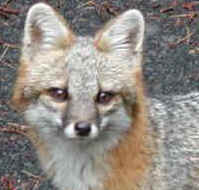 Farmed foxes know nothing but misery their whole lives. Why? Just so some selfish humans can "enjoy" the feel of their fur.